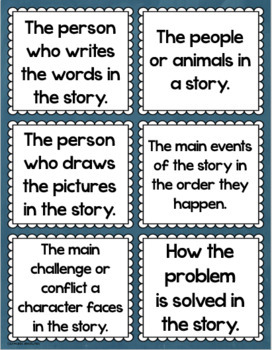 Click here for posters of these story elements! 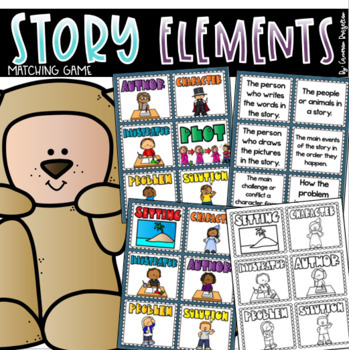 Use this Story Elements matching game to help reinforce the main parts of a story! This set of matching cards includes 7 different story elements and both color and black and white versions have been included, allowing you to save ink! 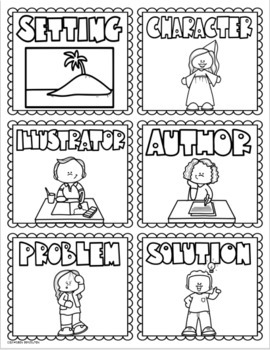 Perfect for literacy centers, rotations, remedial practice, or just some extra reading practice. Print once and use year after year! 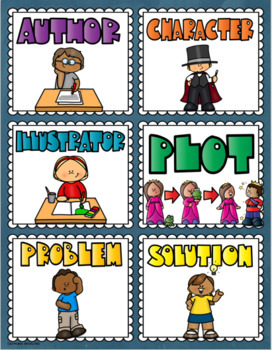 * Cards set to print on standard 8.5" x 11" paper and print 6 cards per sheet. Please let me know if you have any questions regarding this product.